Roll up your sleeves for fast fun in this tantalizing restaurant challenge. 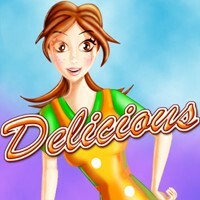 Join Emily on her quest to make her dreams come true in two game modes and seven different restaurants! Success means more tables, bigger restaurants, and a menu full of uniquely delectable items. Tasty treats may keep your customers happy, but it's going to take quick clicks and careful timing to get Emily's ambitions off the ground. Take a bite out of Delicious Deluxe today! query: INSERT INTO accesslog (title, path, url, hostname, uid, timestamp) values('Delicious Deluxe', 'node/1458', '', '3.80.224.52', 0, 1556144066) in /home/surelion/public_html/drupal-4.6/includes/database.mysql.inc on line 66.